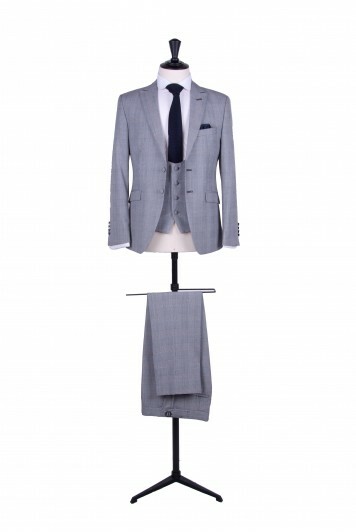 Prince of Wales slim fit light weight suit hire. Cut in a contemporary slim fit style with slim fit trousers with a matching waistcoat in classic, scoop & double breasted or any contrasting waistcoat from our range. A choice of slim fit matching or contrasting trousers are available.